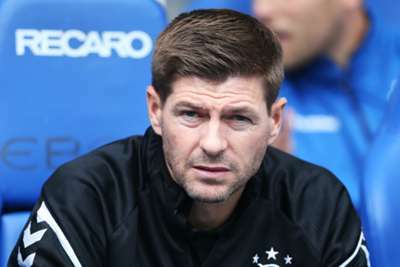 Rangers are one step away from the Europa League group stage after a 0-0 second-leg draw sealed a 3-1 aggregate victory over Maribor in the third qualifying round. Buoyed by last week's vital home win, the Scottish side only needed a stalemate to advance and achieved that feat with only the minor scare of a late penalty Maribor penalty to sew up a play-off round date with Russian side Ufa. An impressive performance from veteran goalkeeper Allan McGregor ensured even the late concern did not develop into any threat of a shock as he kept out Marcos Tavares' stoppage time spot-kick. The visitors had been pinned back on the edge of their own area for much of the first 25 minutes, albeit without major incident. An offside flag spared Alfredo Morelos from embarrassment when he spooned James Tavernier's cross over the bar with what was to be one of few Rangers chances in a tight contest. That came prior to a smart pair of McGregor saves late in the first half, the 36-year-old first denying Amir Dervisevic and then holding a meek Blaz Vrhovec attempt. The former Hull City man was called into action again with 20 minutes remaining as he brilliantly blocked Tavares' close-range effort. And the Maribor forward was to be frustrated once more in the first minute of added time as he failed to claw back a goal from the spot. In the end a clean sheet was all Gerrard's men needed to advance through to the final qualifying hurdle and move within touching distance of a first group stage appearance in European competition since the 2010-11 Champions League campaign. 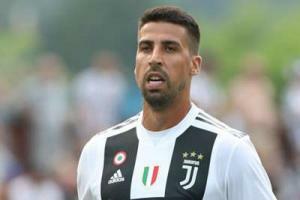 The Juventus midfielder only recently returned to the pitch after a heart problem, but Sami Khedira is set to have knee surgery.